Easily and quickly routs perfect flutes every time. Repetitive flutes are a great way to add style to columns, molding or furniture parts, but machining them can be a true test of patience. Fortunately, this innovative jig makes it fast and easy to rout perfect flutes with even spacing — every time. Two low-friction, underside rails straddle your work piece, allowing the jig to slide smoothly along boards up to 9-1/2" wide, which is wide enough to cut flutes evently spaced over 8'' wide. The router mounts to a pre-drilled acrylic centerpiece, which slides laterally to rout out flute after flute. Scales on the centerpiece and writable/erasable indexing surfaces make setup simple. Pre-drilled to fit most routers on the market. Easy to custom drill for non-standard routers. Zero mark on scales aligns with center of bit. 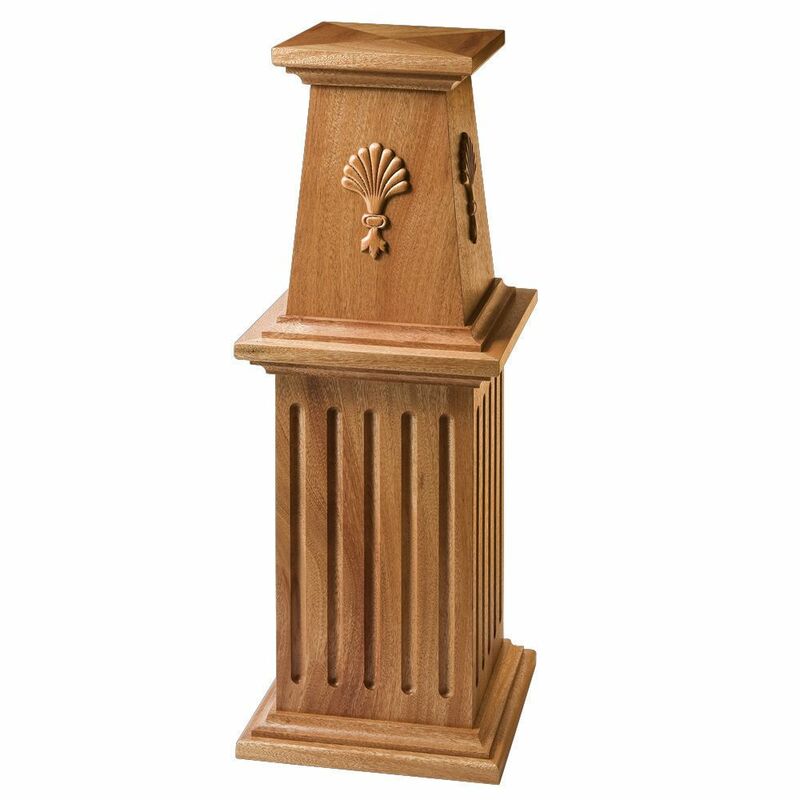 Built with MDF, aluminum and phenolic for long lasting durability. 2. Mark for your flutes on the yellow pad. 3. "Zero out" the metal scale with your first mark. 4. Lock down the acrylic base. 5. Plough out the flute. 6. Slide the base to your next mark, lock it down, plough another flute...and so on until your piece is done! Works really nice, very happy with it. Wobbly on smaller pieces. I was routing a 3" wide piece and had to add two support pieces to stabilize it. It took a little while to figure out the set up on a practice piece, but once I did this jig worked great. I had to put 5 flutes on two 2-1/8" wide by 59" long boards and they came out beautifully. I don't often find jigs that work so well the very first time. Great jig! The best, works really great. You can’t mess up if you just use it the way the jig is explained. Simple to set up and use. I would recommend this to anyone planning on cutting flutes. This is an excellent device and would recommend it to everyone. I am using it to redo all the trim work in my House. The jig made it easy to duplicate the fluting detail on the walnut newel posts. Save yourself a lot of hassle. I highly recommend this jig. 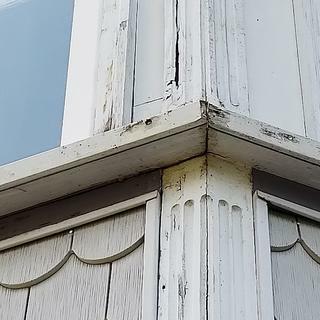 It really made the restoration of these fluted columns simple. Works extremely well. Would have saved a lot of mahogany if I had bought this sooner. The product is so good ...We are training your products ... .
Just finished 20 flutes on 4 pilasters for a mantle. I am a first time user. This jig is extremely easy to set up and use. Had to drill new holes to fit my router. No problem. I would highly recommend this jig for beginners or for experts. Really enjoyed the new gig. Works like a top. Wouldn't take nothing for it. Great jig right out of the box! The jig worked great, right out of the box with an older porter cable router. No adjustments needed! This jig is every thing i wanted to make some fluted columns. Worked exactly the way it was intended. 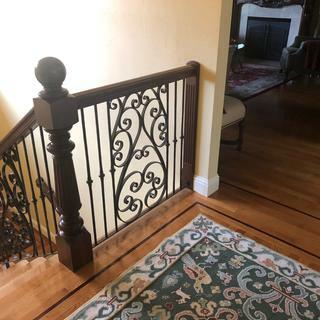 I used this on creating two pieces of fluted trim on a custom vanity I was making and it was difficult to convince people that I made them, and that I didn't purchase them. The two pieces came out absolutely perfect. although it takes a little practice to get use to it, the fluting jig performs very well and I'm sure I'll use it over and over. Works great good fit to porter cable 690 router, built in tape measure function easy to use. Good parallel flutes. Helps if you set up a positive stop on either end. Overall I'm happy with end result, more importantly so is my customer. Every shop could benefit from this jig. 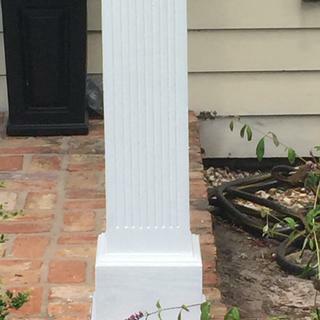 Had to flute some columns for a mantel. The set on the jig was fast and easy and it worked like a charm. Had no problems and the flutes came out great. Very accurate. Would recommend it to anyone. A must have for your shop. I have not had the chance to use the jig but have set it up on the 3" wide door trim. 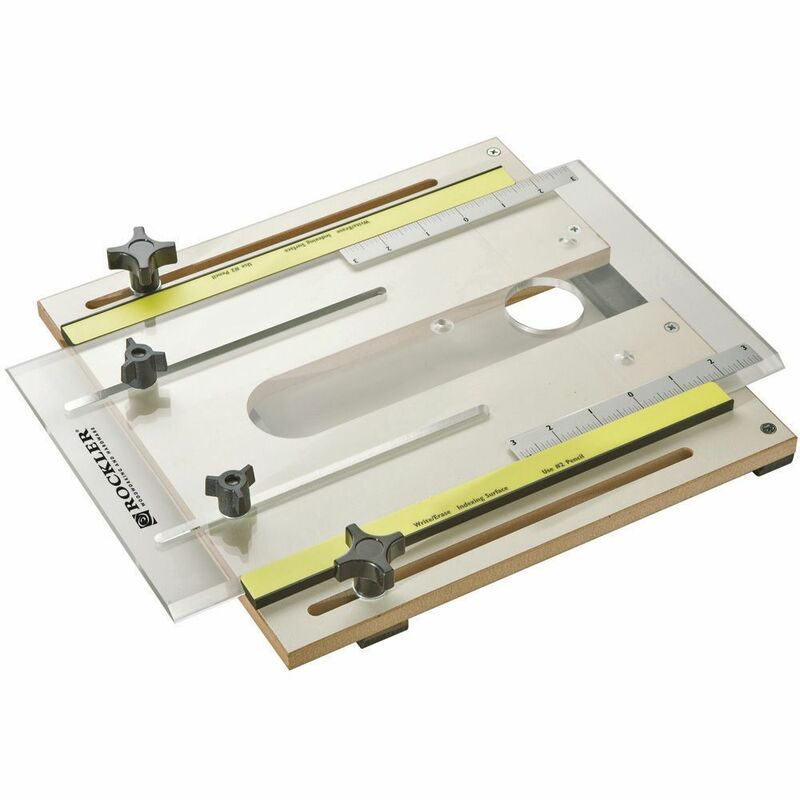 It is easy to set up with either v-groove or box cove to make three symmetrical grooves. Except I don't how to stop the jig 1" from each end using the jig!!!! The Rockler fluting jig is a great tool. I Found it very easy to use and quick to setup. This jig is easy to set up and easy to use. It is the best way I have found to make precise flutes. Very easy to use, makes great accurate flutes! 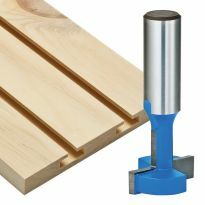 I highly recommend The Rockler router fluting jig. It is user friendly and the design is well thought out. You get a professional finished product. Thank you. Love the Fluting jig !! Well made. Great design. 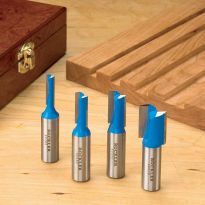 Perfect for straight fluting jobs. I've been eyeing this at the Pasadena store but was skeptical. However, after the April price drop I decided to purchase it and boy was I happy with the performance. Perfect straight lines. Easy set up, even though I had to drill holes for it to fit my router. No need to build your own because for this price, the engineering perfection is beyond anything you could craft yourself. I can't wait to get back to Pasadena to buy the other router jigs. I LOVE THIS TOOL! I'm building a wet bar that called for 4 posts on face of bar with corbels. The corbels had 5 rows of 1/4 inch fluting. I was able to match the spacing and easily reproduce matching posts with this tool. Setup was easy and the process of moving from flute to flute was flawless. I bought the jig this week to flute some posts for a bed. I took it out of the box assembled it and in about 10 minutes I was fluting bed posts. Easy to use, accurate and all the cuts are repeatable! Good job! I bought this jig to add a flute detail to a fireplace surround I was building from scratch. The jig fit my Porter Cable router base and the flutes came out great. I set a stop on each end and went to work. The results were excellent. When I was done with one side, I was able to easily set the jig to make the second side. This is much easier than using an edge guide and hoping that nothing slips. 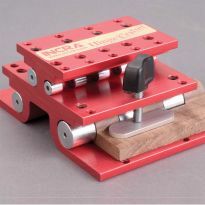 I didn't have any issues with things coming loose as are mentioned in several previous reviews.I highly recommend this jig to anyone who wants to mill flutes with a router. I love this jig! My wife wanted a &quot;distinctive look&quot; on the cabinets and bookshelves flanking our living room fireplace. The jig was very easy to setup and was very easy to get repeat results. 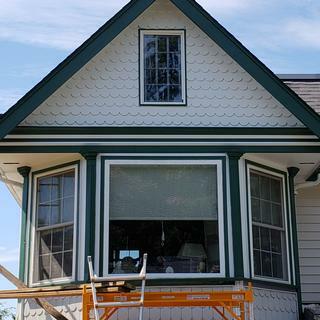 The fluting will be the most eye catching part of this project. Thanks Rockler for making this weekend woodworker look like a pro! I have use the fluting jig it work perfectly. I have use some other jig for flute, this is the best one. A lot of jigs seem to be just gimmicks but this one is for real! I have done a lot of fluting either with an edge guide or router table and this is much easier and far more accurate. And more important it really does save a tremendous amount of time particularly in repeat set-ups for different widths! Well worth the money!!! I don't often give feedback, but this time is an exception. This jig works as good as they say, it's easy to use, and simple. The only suggestion I'd make is to have more pre-drilled holes in the base plate to fit other routers. Or, provide a template to center a different router to the base, to ensure the new holes are properly positioned. This jig was worth the $, I'll be using it on many more projects. I do a bit of case work requiring adjustable shelving using the pin system.On narrower shelving, this jig allows me to easily pop in the notches on the shelf bottoms to lock in the pins.While it can be similarly used as an edge guide on wider shelves, it sure would be nice if the jig could accomodate wider widths. It's quick to set up for this purpose and just sliding the router over to hit both notches on each end of a shelf is very efficient.Yep, it does pretty well at fluting too. Saw this product a year ago and finally pulled the trigger. 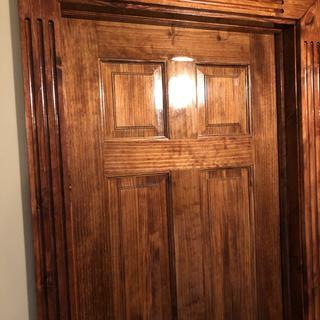 Needed custom sized fluted pilasters for a custom entryway. Worked like a charm! Not surprised: I buy lots of stuff from Rockler. Just wished a store was close to home!! This device is great. I got it and was able to go right to work with it with very little difficulty. I would recommend this to anyone that is a profession or not. You should be able to use it with no problem. My pored cable router went right on it with &quot;no&quot; problem. It's just a good all around product. Five star from me! Finally got a chance to play with my new fluting jig. I love it, it worked exactly as I hoped it would. Easily fit onto my Porter Cable router and made the flutes above with some practice pine. The adjustable guide can loosen if you're not careful but I just made sure the fixed guide was facing toward me and slightly pressed that side against my workpiece as I made the flutes. It worked great for me! Thanks Rockler! I am a beginner plus and attached my Craftman Router. It worked wonderful-very easy to use and have fun. Excellent tool. 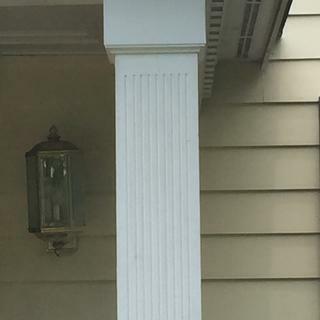 I needed to match some existing fluted columns at my house. I was planing on contracting it out until I saw this jig. I hooked up my PC router and after a few tests, I had the finished product. I am amazed at how simple this jig is to use. Thank you Rockler! Ditto, ditto, ditto! Absolutely no complaints. 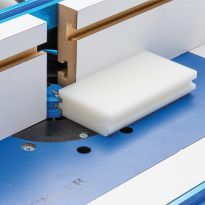 Another fine Rockler product. Easy to mount, easy to use and I too cannot wait for my next project that requires flutes. 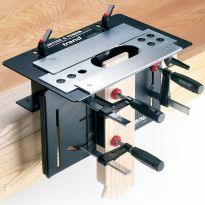 Next on my wish list....the Rockler box joint jig.Thanks once again Rockler. For a recent kitchen remodel I commited to four 90&quot; fluted columns. Unfortunately, I didn't know how I was going to accomplish this. I searched the internet for different options. Then I found this jig. I attached my Makita router without any problems, made a few marks for spacing, clamped some stop blocks and went to town. In a matter of two hours I had the flutes cut perfectly. This is a great jig. I'm sure I could have built a jig to accomplish the same thing, but it would have taken me too much time, and it wouldn't have been as easy to use as this one. I like it when a product does as advertised. Thanks Rockler. I'm used to running flutes at work with a router table but when a side job came along that called for flutes I thought this might be a good opportunity to try something new. When I started the day in the shop I knew this phase of the job was looming, but I was pleasantly surprised to see that my Hitachi router fit perfectly with the pre-drilled holes. Step one, no problem. A quick re-look at the instructions and I had it all set up. I am running 3 flutes on 4&quot; wide stiles that have both stop and start points. I ran all 8 stiles (4 one length and the other 4 another length) So after running 24 flutes I was thrilled and looking for something else to flute. I didn't have any issues with drifting and I was aware to keep an eye on the knobs and their tightness. Again, no issues. I have 4 more center stiles to run and then this phase of the job will be done. So in summary, I am very pleased with this product and am anxious to see how it performs over the long haul. Thanks Rockler! 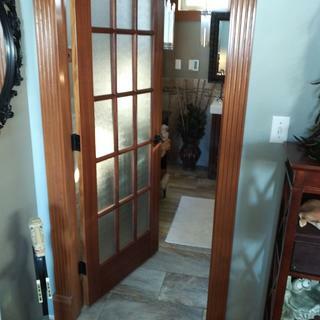 To make custom door way moldings. Need to make a table leg with precisely cut details and this jig should simplify the task. Saw it advertised/demonstrated in a YouTube video and it looked like just what I needed. We plan to make some furniture with fluting and think the jig will make the operation much smoother. 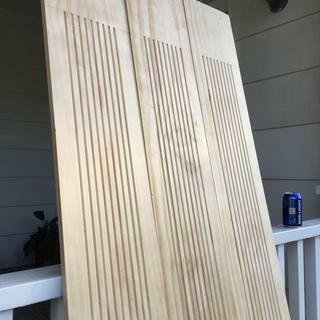 I have a small project in which I want to add flutes to a face board, but did not want to spend the money on a router table....and this looked easier. This jig makes it much easier to make fluting on the fronts of my projects than by doing it by hand. I have an upcoming cabinet project and this looks like an improvement over using my router table. We'll see. It looked like a well made jig and easy to set up and use. Should be faster to use than my Tracsaw and router attachment. 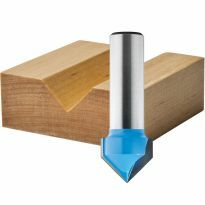 I depend on Rockler to have good products. Have a custom project to do for a museum. I would like to do some fluting on some stair posts I'm building and this is easier than making a jig. Looks easier and quicker than my homemade jig. I think this tool will help with future projects. Project I'm working on requires a lot of flutting. Doing it on a router table didn't look professional, so this jig should make a big difference. 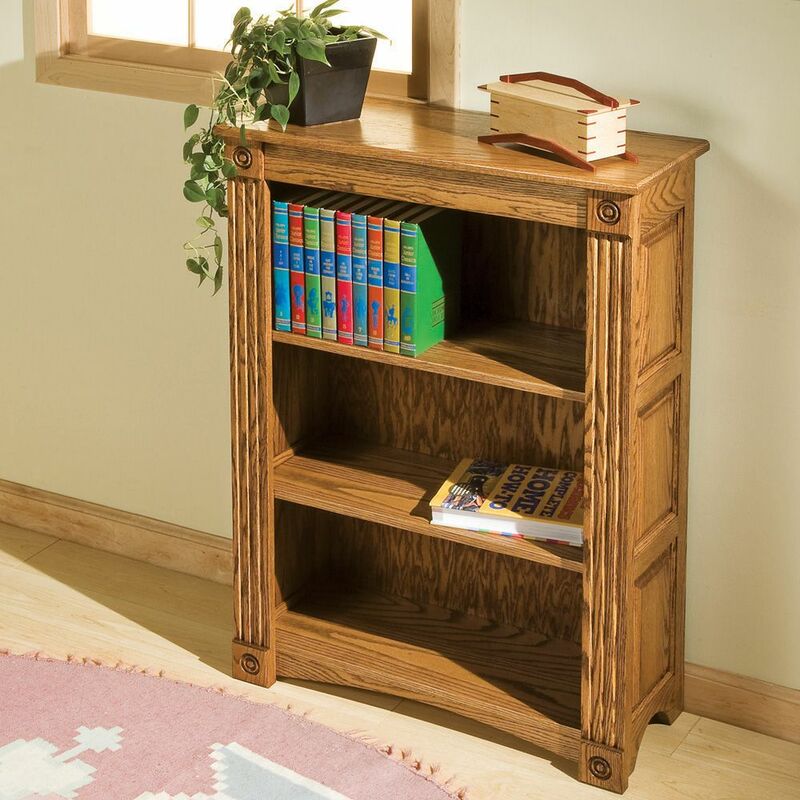 I will be making a number of bookcases with fluted case frames. Custom box tops. Actually was just getting ready to make a similar jig. Yay Rockler! needed to make flutes in my next project. Looks like a cool tool. Going to give it a go to see what I can do with cabinet doors and the like. Works as advertised. More than happy with it. NEED TO MAKE SOME GROVES AND THIS CAUGHT MY EYE. IF IT WORKS AS DESCRIBED I WILL BE BEYOND HAPPY. 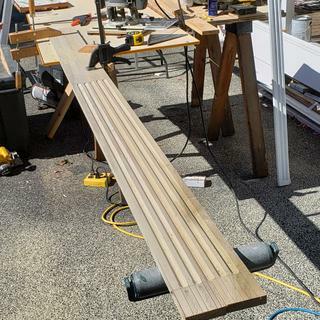 This was another Rockler jig that made my project shine by helping me build columns for my project at the Salinas Municipal Airport. Thanks! I have been doing wood working almost all my life, in some form or fashion. I am hoping this fluting jig will make a good addition to my shop. Needed for a home project. I do my own fluted trim pieces. Love the idea! Looks like it makes life real easy for carpenter work when doing wood fluting! I've wanted a router bit hat would cut three 1/2 inch flutes for styles in furniture that I build, but could only find a bit that cuts two. This jig solved my problem. Excellent jig to make fluting jobs, perfect. can it cut flutes at a 45 degree angle? BEST ANSWER: Yes you could but I see no advantage in using the jig. I would make a guide that would slide up and down the pilaster with the guide edge at 45 degrees. Run the route hand held along the face. Mark the flute incrementally along one side of the pilaster. Clamp the guide each time you flute. i am not sure but if you want to cut anything other than plunge flutes I wouldn't recommend this jig! The sides of your board have to be perfect or else it drags and hangs up. Also if. You are cutting flutes the length of your piece you need to have a way to support the router at each end, either that or cut a longer piece and trim it after u are done. Itried to like this thing but returned it and just ise my router table to cut flutes until I can justify a molder machine! This jig is built to hold a router flat against a board and travel in a line parallel to the sides of the board. It's not deisged to allow the router bit to be tilted relative to the face being routed, or to cut diagonally across a board. I found my solution. 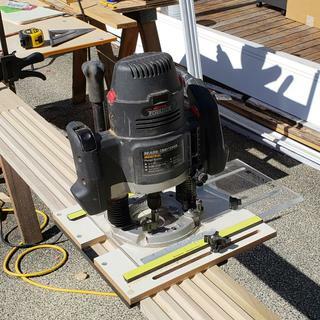 I purchased a panel saw from SafetySpeedCut that has a router attachment. Cutting long fluted molding is a piece of cake now!!! You can place a wedge on one side to raise it up but it would take a bit of practice to get it right each time. Can this jig be used to make flutes for arched casing. And if yes, what is the minimum radius? BEST ANSWER: It could be used for an arched casing but you'd have to modify the jig. The OEM side stops are designed for straight cuts and won't follow an arc. 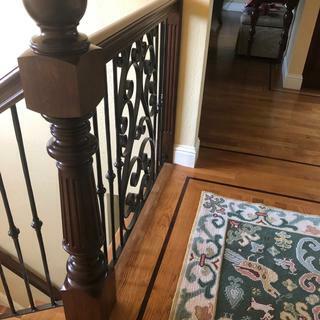 You'd have to replace them with your own design for a roller bearing stop or a solid stop shaped like a pointer with a small contact area where it meets the wood. This will take some ingenuity but shouldn't be too hard to do. I never used this jig for radius, In saying I am not sure you could because of the rails that hold both sides of the wood you are fluting. don't see how they would follow threw the arch. Maybe somebody else has. However, it works great in straight applications. 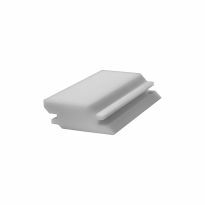 I do think it can be used for arched casings, but I have NOT tried that so I have no idea about minimum radius. It sure works sweet on straight flutes ! what brand router works with? 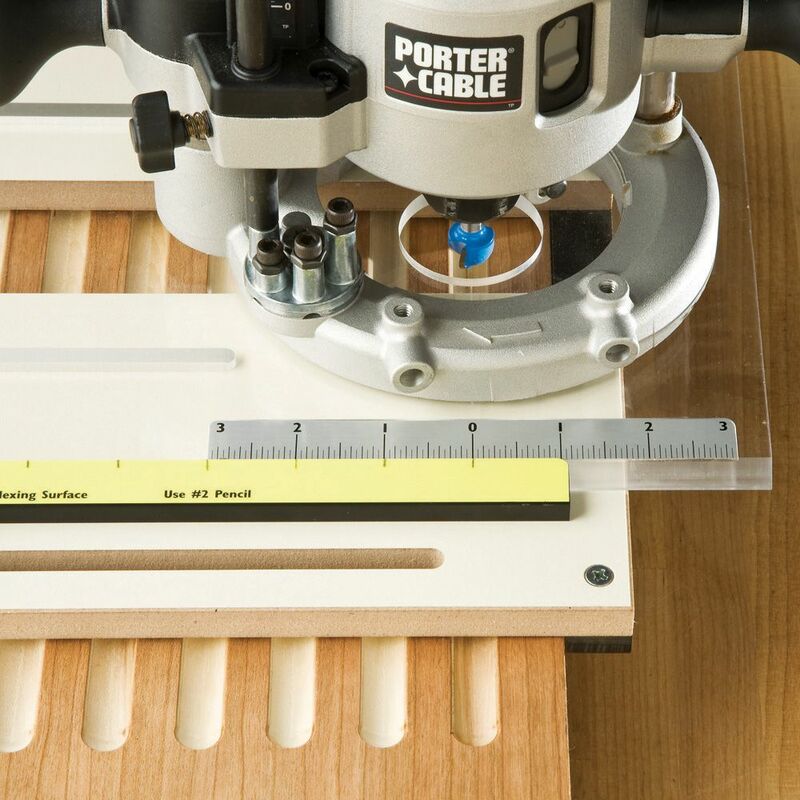 BEST ANSWER: It worked with my Porta cable 7539 plunge router. The 3 pre drilled holes lined right up. How ever when I tried my craftsman router it did not. I had to drill three holes and counter sink to make it work. Has anyone had problems with the screws that hold the aluminum rails to the base plate vibrating loose and if so would lock-tite be a good solution? Is there a list of router models that fit this jig without having to drill new holes in the base plate? 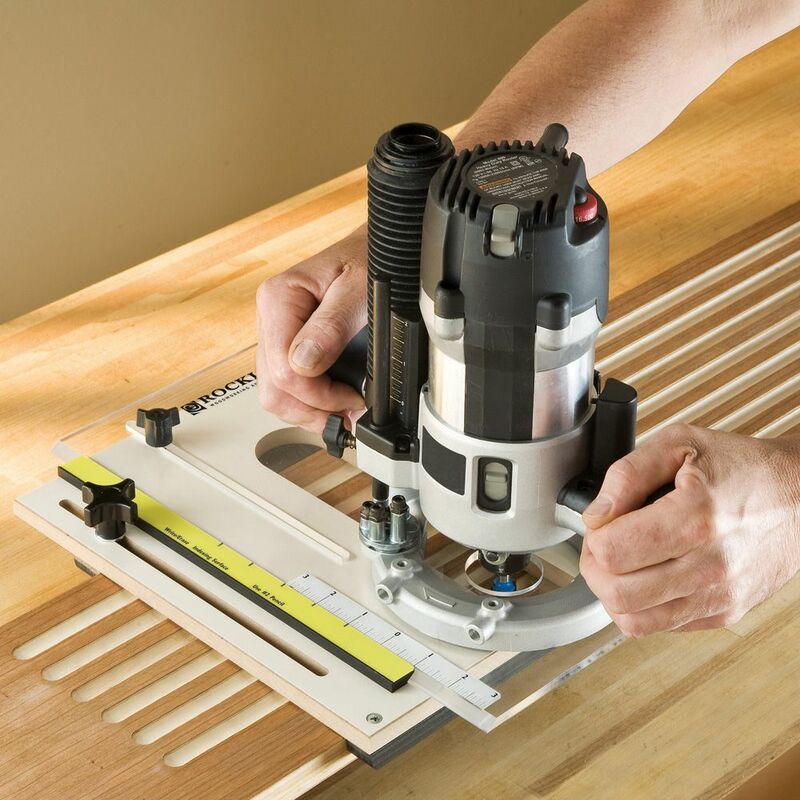 The plate is so easy to drill to fit your router whatever router you have that it should not even be a consideration. I have a Craftsman 14 amp router, will the jig fit my router? Also is it hard to drill new holes if need be for the router? BEST ANSWER: I don't have the same router that you have, but the fluting jig should be adaptable to any router. As far as drilling new hole, you just take thevbaseplate off your router and use its holes to align any new holes to be drilled. 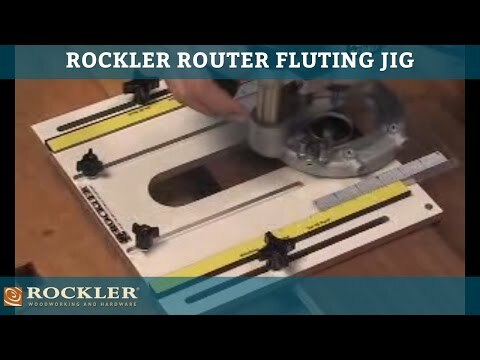 Once you get your router mounted you will love this fluting jig. I used to measure ever flute and try align the router bit to each mark. The jug makes that all unnecessary and saves tons of time. Good Luck ! I use a 14 amp Hitachi router with my jig. I had to drill new mounting holes but that was pretty simple. 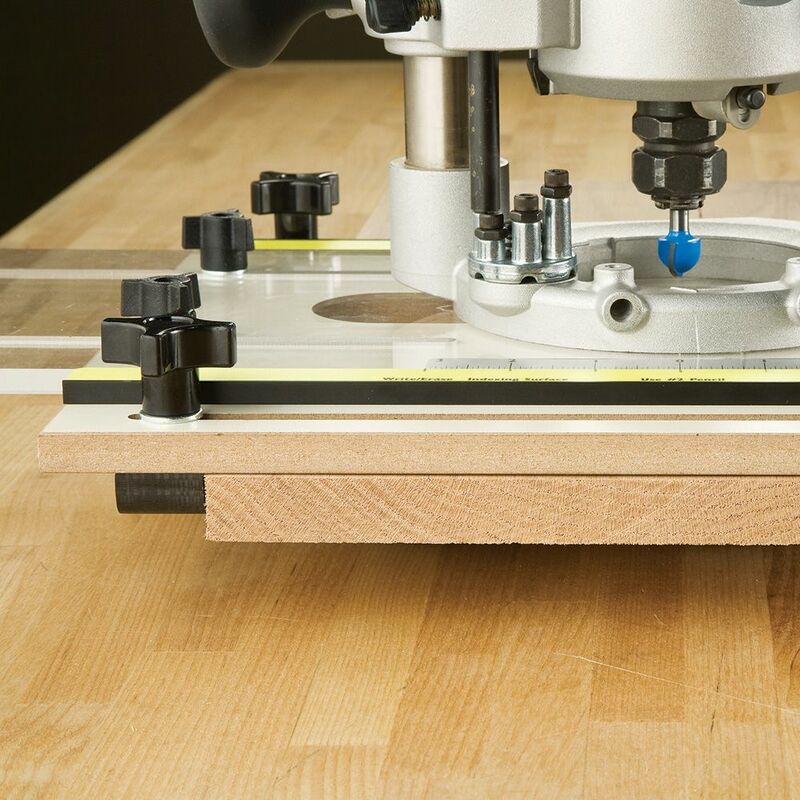 Use your router base plate as a template for drilling the holes and use a VIX bit to ensure they are centered. With the large router the jig is top heavy nut not dangerous. I'd prefer to use a mid size router if I had one. I had a very old craftsman router, so I had to drill more holes. No problem. Most fluted pieces have a taper at each end of each flute. This isn't addressed in any of the reviews, the description, or the video. Any tips? BEST ANSWER: Flutes are made by a round cutter. When the cutter is placed into the start and end of the flute it naturally leaves a "taper" at each end. To make a taper at the end of your flutes you would have to make a tapered wedge for the fluting jig to rise out of the flute gradually I would try this on scrap wood first to get the taper you want. Personally, I like the rounded end produced by stoping the jig at the same place across all the flutes. This is done easily with this jig. Can this jig be use with all routers and trimmers? Can this be used w/ a Bosch Palm Router? I know the base can be drilled but wondered if there is a minimum size router?? Will this work with Dewalt DWP611 or the DW616 ? BEST ANSWER: Yes it will. Will work with any plunge router. It appears that this can also be used to cut mortises. Has anyone tried this? BEST ANSWER: I kind of doubt you’d be happy with the mortise made on this jig. 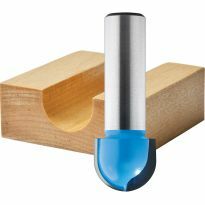 The jig is designed to cut flutes with a rounded router bit. It does not have any controls for prescision lengths of cut. I think you would be much happier with a mortise jig that can cut more precision mortise cuts. Can you cut the flute across the width of a board from one side to the other or is there a better way to finish the groove? 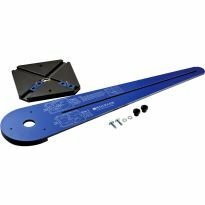 BEST ANSWER: In the upper right-hand corner of the Rockler web page you can enter the item number of this product (28636). This will bring you to the product page. Scroll down and watch the right-hand half of the page for the section titled "Technical Downloads". The underlined line below that section title can be clicked on, and it will show the instructions for the Fluting Jig.